Miscellaneous: Second book to be published, Lewis intended it to be read fourth in the series. ALSO, a few of you have wondered about the number of pages listed in my Narnia books. Don’t fret! The book I’ve been reading is a collection of all seven books. The books themselves average 100-150 pages. “Oh!” said Edmund in a voice which made everyone stop talking and listen to him. “I’ve just seen it all,” he said. “How excited they’ll be to see us -” began Lucy, but at the same moment everyone else said, “Hush!” or, “Look!” For now something was happening. In Prince Caspian, the Pevensie children return to Narnia after what was to them a year’s time, to find Narnia almost unrecognizably altered. Lucy’s naive statement that the Narnians will be happy to see their return is quickly quashed, when many that they encounter feel bitter towards the Kings and Queens of Old as having abandoned them. In the hundreds of Narnian years that has passed, Narnia has slipped into a dark age. A group of people who were once pirates of Spanish descent called Telmarines, rule with an undying prejudice and hatred of the original Narnians, talking animals, Dwarfs, and other magical creatures. To Lucy’s dismay, the trees have lost their voice and retreated within themselves, and many other Narnians have withdrawn and taken to hiding in the mountains and deep forests where the Telmarines are afraid to go. The rightful heir to the throne, Prince Caspian, survives an assassination attempt by his uncle, who wishes to secure the throne for his newly born son. With the help of the Pevensies and Narnians, Prince Caspian stands against the cruelty and evil rule of his uncle. But is it enough? Or have the Pevensies returned too late? Prince Caspian is the second most read and well-known book in the Narnia series. Second to be written and published, most people reading it in the order of publication, manage to get through the second book. Like The Lion, the Witch and the Wardrobe, Prince Caspian has been made into a movie, a BBC mini-series, dramatic audio recording, and audio books. In this book, Aslan is absent for most of the story. Lucy alone sees him, but chooses not to follow him because her siblings do not believe her as they didn’t see him. The main message of this book is that seeing is not believing, and faith comes from believing and leaning on those around you no matter what “reality” says nor how the odds seem to be stacked against you. Like the rest of the Narnia books, Prince Caspian is written as a Christian Allegory. Trusting that God is with you, even when you don’t see or feel the evidence of his presence, and that He has planned for you to prosper, not fail. My favorite character in Prince Caspian, second to Aslan of course, is Reepicheep. This warrior mouse proves that the size of the body is NOT the indication of the size of the heart found within. He is courageous beyond those ten times his size, and inspires loyalty in his followers, who are willing to even cut off their own tails so that their leader does not have to carry the dishonor of the loss of his own tail alone. 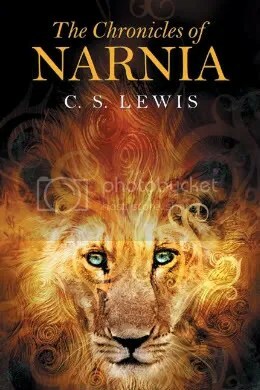 While Prince Caspian is not my favorite Narnia book, that would be The Lion, the Witch and the Wardrobe, nor my second favorite, The Horse and His Boy is, I did enjoy reading it. It’s definitely worth reading, and should be counted among the must-read classics in English Literature. I give Prince Caspian four out of five stars.